This collection of essays by a group of leading authorities is addressed primarily to a non-specialist readership, with the aim of introducing people and achievements associated with the University of Cambridge over the past 150 years. It explains, in simple terms, what has been done in a wide variety of fields - including philosophy (Ray Monk on Russell, Peter Hacker on Wittgenstein, Robert Grant on Oakeshott); economics (Geoffrey Harcourt on Keynes); anthropology (Ernest Gellner on Frazer); the study of English (Stephen Heath on Richards and Leavis). Some who have made important contributions to Cambridge science describe their own work and discoveries - Max Perutz in molecular biology; Antony Hewish in radioastronomy; Simon Conway Morris in palaeontology. 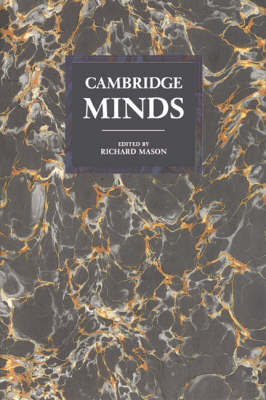 As a whole the book offers an intellectual portrait of many of modern Cambridge's most notable achievements which will be of interest to a broad range of readers within the University and far beyond.